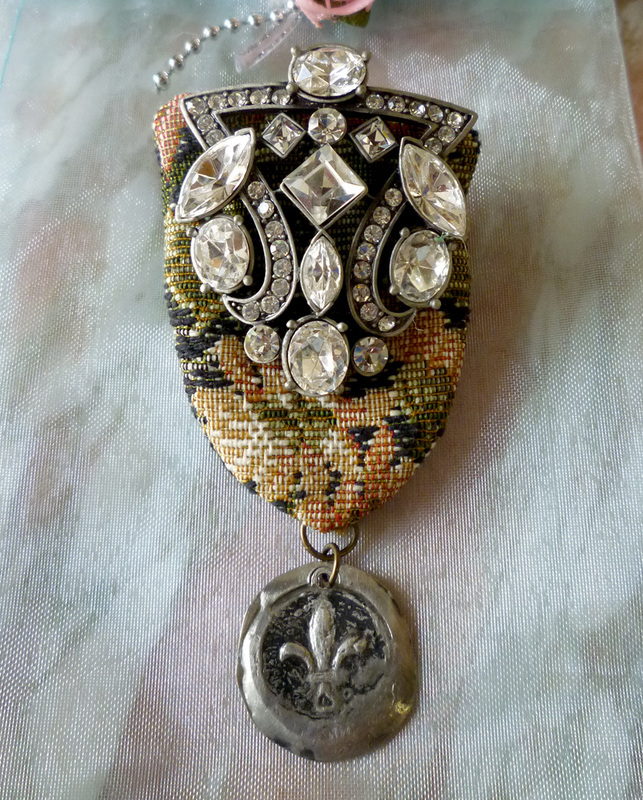 Fleur de Lis Brooch - Vintage style with brocade fabric, rhinestones and handmade silver wax seal. Rhinestone Crown Brooch - Vintage style with velvet fabric, rhinestones and handmade silver wax seal. Chesterfield Brooch - Vintage style with velvet fabric, Antique 1950 button pin and green glass cabachon. 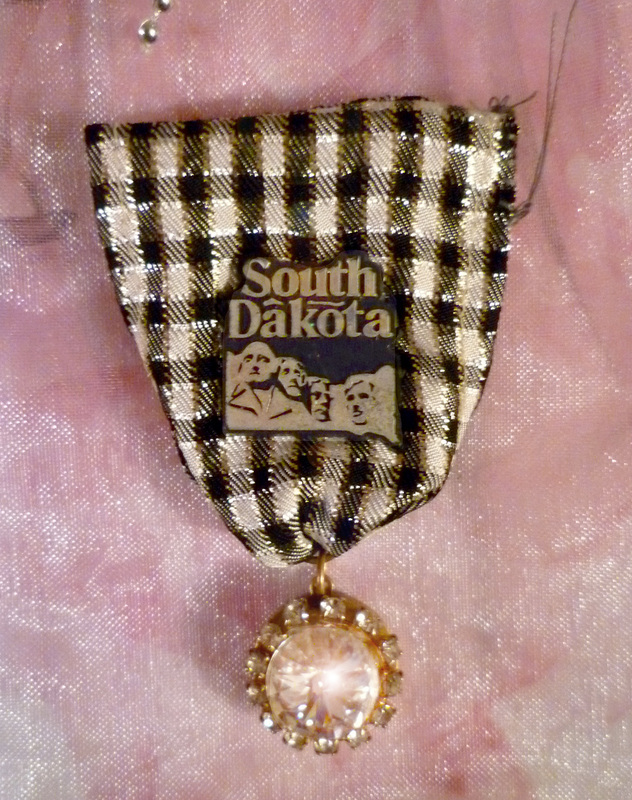 South Dakota Pin Brooch - Vintage style with black and white fabric, Antique 1950 button pin and rhinestone crystal cabachon. Lois Lane Pin Brooch - Vintage style with fabric, Antique 1950 button pin and green glass cabachon.